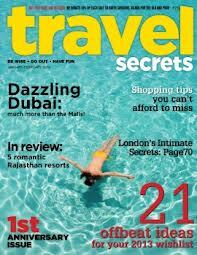 Travel Secrets ஒரு சுற்றுலா பயண இதழ். எல்லா விமானங்களிலும், ஹோட்டல்களிலும் இருக்கும். பெரிய புத்தக கடைகளிலும் கிடைக்கும். Guhan Ramanan got kissed, got quizzed about the Kama Sutra, and watched people bathe together...in the wondrous city of Budapest. felt like. 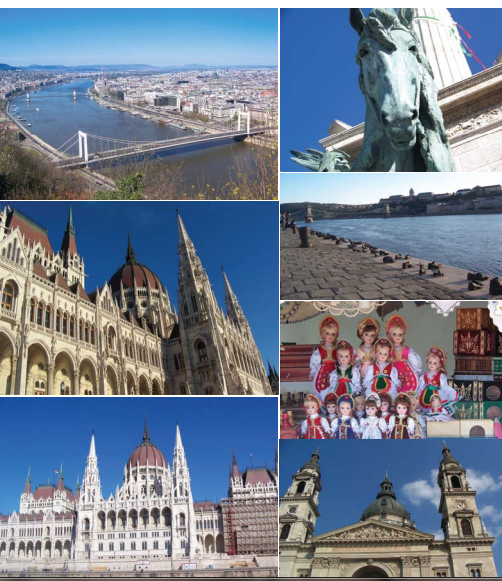 Budapest is actually two cities: Buda(old city Obuda) and Pest (new city) held together by the beautiful Danube river. Invaded by the Romans, the Huns, the Turks, and more recently the Soviets,this beautiful city is called the Paris of the East and is strikingly different from usual Europe tour suspects. I landed into an office bustling with twenty-somethings. Their advice was unanimous: pálinka (Hungarian version of tequila made from fruits) should be consumed in large quantities. 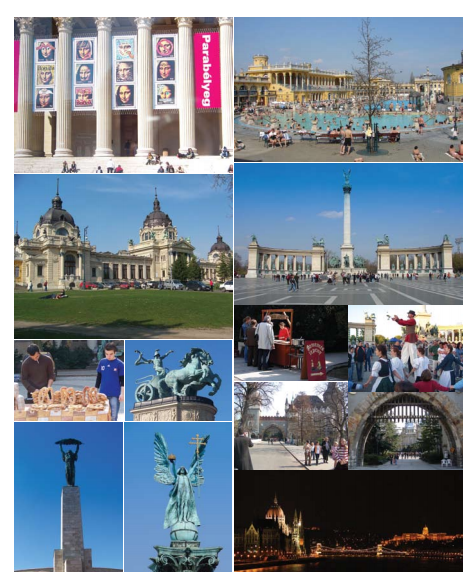 And I should join them Saturday night at a bar,when they would teach me Hungarian.I liked Budapest already. Rather than build a touristy checklist of items to tick off, I decided to soak in the atmosphere and see where the city took me. Saturday morning found me riding of Europe) to Heroes Square (Hosok Tere), the center of many local festivals and celebrations. Seven magnificent statues of tribal horseback chieftains stand here. The leader among them is Arpad, who created Hungary in 9th century. A local guide explained that the man with the snake as a whip represents War, while the female figure in a chariot holding a palm frond represents Peace. Taking pictures, I found myself pondering the poignant symbolisation. If you’re going there, do wander into the beautiful City Park behind Hosok Tere, to see the VajdahunyadCastle complex. Walking into the castle over the moat, and admiring the intricate columns on its exterior, you will see an interesting hooded statue conversation with the seller, I headed toward the Szechenyi Medicinal BathHouse. Built in 1913, it is a communal(yup, they bathe together!) thermal bath with pools of heated water and has several medicinal treatments available.I saw old and young soaking in thesteaming waters, deep in conversation.Some even playing chess, making it look more like a park than a bath. A dip will run you about 4200 Ft and you can rent swimsuits there too!Deciding to come back later for a‘bath,’ I took the metro back into the city to see the St. tephens Basilica. A Budapest trip is considered incomplete unless you’ve admired the elaborate entrance and intricate sculptures and gone inside to be awed by the beautiful stained glass and the sheer majesty of this structure. Don’t miss.It was coffee time, so I ambled into a local cafe and ordered ‘rétes,’a delicious thinly layered Hungarian specialty pastry filled with cream and apple pie (strudel), and a HungarianKava (dark, strong espresso-like coffee). Now I was all perked up to go and seethe great Danube. To do this, I had to walk down Budapest’s most famous street, Vaci Utca (pronounced utsa,for street). The beautiful facades and columns on either side of the narrow streets, jostling for space with block style housing from the Soviet era make this an enchanting promenade. Hungarian dolls (not what you think) made it well worth the ride. a baby, causing me to wonder if I was getting better looking, I learnt that it is local custom, to cheek-kiss. Watch out,men do it too. As the night progressed, a bearded gentleman asked me ‘Where are you from?’ My tepid ‘India’ made him look at me for a full second longer - ‘Saying you are from India is like me saying I’m from Europe. Where in India are youfrom?” ‘Chennai,’ I blurted, surprised.“Ah, South India - the land of beautiful temples and coastlines. You know India is actually many countries and cultures in one. It’s what Europe would be, if it was a single country”. Dumbfounded I listened to him describe India as a country with majestic Himalayas in north, That on the west, beautiful hills and rivers on the East and the fertile peninsular triangle leading to Kanyakumari on the South. Thousands of miles from home, a Hungarian knew India as a country of countries. And all I knew was that his country’s stamp was triangular Humbling. But the night was still young. Used to the usual questions about India--crowds, cuisines, culture, I was stunned when a pretty girl asked me, ‘Do they teach the Kamasutra, for everyone in India?’ Maybe the shock on my face didn’t register - she said she’d read the whole book when she was 12 (without parental approval, thankfully), and she opined it went much deeper than the obvious. Deeper? Obvious? I gulped. “ Isn't it brilliant how ancient Indians thought about finding God through loving?” Hemming and hawing, I groped for an answer and learnt what “open culture” meant. As we walked through the narrow city streets, with yellow lights and I explained what vegetarian meant, I was directed to a small Turkish shop, with the most amazing falafel sandwich, at 2 am, followed by a delightful baklava (think slightly sticky son papdi). There are many of them all over Budapest and open all night, for the hungry and palincated(!) traveler. As I walked back into my hotel, almost 24 hours after I left it, I wondered; poignant symbols, magical views, green parks, excellent local transport, amazing food and most of all, warm-hearted, friendly and knowledgeable people. What more can one ask of a city? Keep it up JG, Article is excellent. They missed one line in about the author-"He is a good photographer"
Promising young chap. Has wonderful future. Congrats.rajamai. Makes one want to visit! JG, you can still write! I have vague memories of your postcards from Annamalai. I clicked the link thinking you may have written in Tamil. You should try and translate it yourself. If you hadn't noticed, the movie showed Hungary but called it Italy, much to the chagrin of the locals. hello JG -" the Boss " ! I'm thrilled. I know you are good at language, while talking to someone, you are always good when putting it on ink, nowadays on type mode. you are a Marco Polo at home! travelling at least 185 days in a year out of India ( that's good keeps you as an NRI as per financial & IT terms)!. Mr. Mani Sr. - your thatha should have been glad to red this. he use to tell us impressively & motivate us to get exposed to the globe! You know he had his first trip to US & Europe with just 8 $ on hand, that much only Govt. allowed those days!! Your views as traveler is too good, taken care to make a note of the names, spellings of them, & even to the pronunciation. Clubbing the past & interestingly, the one what you were seeing putting it across in your style, really wonderful MAN ! keep writing, keep traveling.. I love to talk to you often for the language & style,....now onward keep me in loop of your writings too ! Bye now, Mr. Marco polo!